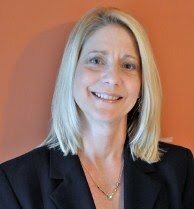 Professional Profile: Rebecca J. Buttoroff, RP, Pa.C.P. Rebecca J. Buttorff, RP, PaCP, of Jersey Shore, Pennsylvania, answers my Thirteen Questions this week. She is a senior civil litigation paralegal who work for Douglas N. Engelman, Esq. at the law firm of Lepley, Engelman & Yaw, LLC. in Williamsport, Pa.
You'll want to read Rebecca's list of 5 questions to determine if a person can be an exceptional paralegal. Thanks, Rebecca! 1. Where do you work and what is your job title? I work for Douglas N. Engelman, Esq. at the law firm of Lepley, Engelman & Yaw, LLC. in Williamsport, Pa. My job title is Senior Civil Litigation Paralegal. 2. What prompted you to choose a paralegal career? I had always been interested in law and law enforcement. I had considered becoming a Pennsylvania State Trooper. When I went back to college after all my children were in school, I felt a paralegal career would be safer than law enforcement. 3. What is your favorite part of your job? I enjoy researching and writing. To me, it is fun to research an issue and creatively argue it in a persuasive way. 4. What professional associations do you belong to? I have been a member of the Lycoming County Paralegal Association (LCPA) for over sixteen years. During that time, I have served as President, Vice President, and Editor of the Gavel as well as chaired a number of committees. The LCPA is a member of the Keystone Alliance of Paralegal Associations. I served as the LCPA's Primary and Secondary Representative to the Keystone Alliance for a number of years. During that time, I served 2 terms as Chair of the Keystone Alliance, and sat on the Regulation Ad Hoc Committee. I am currently the Co-Chair of the Standing Committee on Paralegal Certification. I have also been a member of the National Federation of Paralegal Associations (NFPA) for over fifteen years. I am a member of the Pennsylvania College of Technology's Paralegal Advisory Board as well. 5. How has your membership benefited you? I believe it is important to belong to professional associations on the local, state, and national levels. These memberships provide me with continuing legal education opportunities, allow me to network with other paralegals, participate in community service projects, and help me keep abreast of the trends in the profession. Through these associations, I have met many colleagues who have turned out to be lifelong friends. 6. Do you have any professional certifications? Yes. I have been a PACE - Registered Paralegal (RP®) since 2000. I also am a Pennsylvania Certified Paralegal (Pa.C.P) through the Keystone Alliance of Paralegal Associations. 7. What has been the highlight of your career? In 2007 the Keystone Alliance of Paralegal Associations established the Regulation Ad Hoc Committee and commissioned them to research the issue of regulation in Pa. I had the opportunity to be a member of that three person committee. The purpose of our committee was to research paralegal regulation and to make a recommendation to the Keystone Alliance as to whether or not the PA paralegal wanted to be regulated and if so, what form of regulation would best serve Pennsylvania paralegals. The Committee presented to the Keystone Alliance a framework for the Pennsylvania Certified Paralegal credentialing program. In April 2008, while I was Chair of the Keystone Alliance, the members of the Alliance ratified the Pennsylvania Certified Paralegal credentialing program. This certification program established by the Keystone Alliance was a significant advancement for paralegal in Pennsylvania. I feel very fortunate to have been closely involved in this process. 8. What do you see as hot trends in the paralegal industry? Paralegals throughout the United States are recognizing the importance of regulation. I believe we will continue to see programs such as the Keystone Alliance's Pa.C.P. credentialing program being established in other states. 9. Have you dipped your toes in the social media waters? I have a Facebook page and enjoy keeping connected with family and friends. I also manage the Keystone Alliance of Paralegal Associations' Facebook page. Facebook is a great way for me to keep connected with other paralegals and paralegal organizations. 10. If someone contemplating a paralegal career asked you for career advice, what would your answer be? I would start by asking the person five questions. 1) Are you detail oriented? 3) Are you able to manage your time well? 5) Are you able to work in stressful situations? I strongly believe that in order to be an exceptional paralegal, you must be organized, detail oriented, know how to manage time, and have good writing and oral communication skills as well as be able to handle stress. If the person's response was "yes" to these questions, I would recommend the individual look carefully at paralegal programs and preferably seek out an American Bar Association approved paralegal educational program. 11. Is there a quote that inspires you? "Unless you try to do something beyond what you have already mastered, you will never grow." 12. You've enjoyed a successful paralegal career. To what single event or person do you attribute that success? At the start of my paralegal career, I was fortunate to have a wonderful attorney to learn from and to provide guidance. After fourteen years, I still work for Douglas Engelman, Esq. He and his law firm have supported and encouraged my participation in professional organizations and attendance at continuing legal education events. He has played a significant role in the success of my career. 13. What is the most important step a paralegal can take to keep his or her career interesting? Every opportunity you have you should attend continuing legal educational seminars and lunch and learns even if they aren't in your area of practice. You will be amazed at what you might take from the event. CLE events are a great opportunity to network as well. Bonus...just for fun fact: I tend to be a risk taker. I believe that if you do not take risks in life you will never grow. I have always encouraged my children and others to do things that may be outside their comfort zone as well. If we don't try new things, we will never be able to master anything new. My risk taking exceeds my professional career. A few years ago I challenged myself further. I went skydiving! It was awesome. So, the next time you find yourself outside your comfort zone, don't be afraid to jump! Job Security? Take your cues from Santa Claus! Santa Claus must hold the record for job longevity. After all, he's held the same job for years and years, through good times and bad, with nary a lay-off and, certainly, no downsizing. Really, Santa is indispensable because absolutely no one can do his job as well as he can. Santa appreciates the importance of his team. Santa understands that he can't do his job without the support of Dasher, Dancer, Prancer, and Vixen, as well as Comet, Cupid, Donner and Blitzen. He also recognizes that certain team members are uniquely qualified to do certain types of work. For instance, Rudolph with his nose so bright was invaluable on that foggy Christmas Eve when he was called upon to guide the Santa's sleigh. Santa multi-tasks. When he barely has time to sit down for Thanksgiving dinner before the holiday rush begins and he's expected to be everywhere all at once, Santa makes a list and checks it twice to find out who's been naughty and nice and also to be sure he's got everyone covered. He's practically guaranteed no detail will slip through the cracks. Santa dresses appropriately. Granted he gets to wear a uniform (I suppose that's what you'd call his red velour suit) but even if he doesn't like it, he wears it like a true professional because he knows he needs to look the part. After all, it just wouldn't be right if Santa showed up in jeans and flip-flops. Santa doesn't waste time. Remember how Santa slid down the chimney and said not a word but went straight to his work? He knows that the only way to finish a project on time is to stay focused and minimize interruptions. Santa delegates. Knowing he should do only what only he can do, Santa delegates a bunch of the work to his elves. He also utilizes plenty of "stand-in" Santa's to cover all the malls and Christmas Parties. This frees him up to do only what he personally has to do to be sure deadlines are met and an excellent job is done. Santa does even the dirtiest parts of his job with a smile. Who else would slide down a sooty chimney and land with twinkling eyes and dimples so merry? Santa's not a slacker...he gets the job done regardless of what he has to do to make it happen. Santa fulfills wishes, often without being asked. Anticipating what someone wants or what needs to be done is just part of his job description. Johnny wants a pair of skates? Suzy wants a doll? Nelly wants a story book? He's all over it! Two front teeth? You got it! Elephants, boats and kiddie cars, too? Done! Santa uses appropriate language. There's only one permissible 4-letter word for Santa: Hoho! Other than that, Santa speaks in complete sentences without the need for foul language to make his point. Granted, Santa enjoys a lot of perks: he flies around the world without a passport or airport pat downs and he gets oodles of f'ree cookies. When things do get stressful between Thanksgiving and Christmas, though, Santa doesn't complain, he just does his job...and does it well...and then hunkers down at the North Pole to get ready for the next year. Things may slow down but he never quits working toward his December 24-25th deadline. Your challenge? 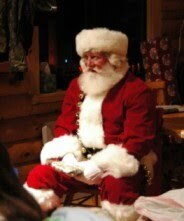 Think about Santa's practices and work ethic. Which can you apply to your own job to not only make your work more challenging and interesting (without sliding down any chimneys!) but also make yourself indispensible to your employer? Do you want to use this article in your newsletter, ezine or Web site? You can so long as you include this entire blurb with it: Vicki Voisin, "The Paralegal Mentor", delivers simple strategies for paralegals and other professionals to create success and satisfaction by achieving goals and determining the direction they will take their careers. Vicki spotlights resources, organizational tips, ethics issues, and other areas of continuing education to help paralegals and others reach their full potential. She publishes a weekly ezine titled Paralegal Strategies and co-hosts The Paralegal Voice, a monthly podcast produced by Legal Talk Network. More information is available at http://www.paralegalmentor.com. 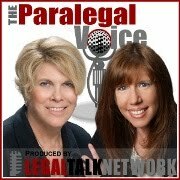 The latest editionof The Paralegal Voice, "Talking Murder and Mayhem with Sue Ann Jaffarian: Paralegal & Fiction Writer," co-hosted by Lynne DeVenny and me, is now available at Legal Talk Network. In this episode, we welcome Sue Ann Jaffarian, a paralegal for Hooper, Lundy & Bookman, PC in Los Angeles, and author of the best-selling series, The Odelia Grey Mysteries. Sue Ann talks about balancing dual careers as a very busy corporate paralegal and successful fiction writer; her "large and in charge" fictional paralegal, Odelia Patience Grey; and what's next for both Sue Ann and Odelia. Throw in vampires, writing advice, and dealing with weight prejudice - this is a lively discussion you won't want to miss! The Paralegal Voice also thanks its sponsors: Westlaw Deposition Services and NALA...The Association of Paralegals and Legal Assistants. Please share the links to this episode of The Paralegal Voice with your friends and colleagues. If you have a request for a future show, or a question for us, you are welcome to contact us at TheParalegalVoice@gmail.com. Also, you can be sure you never miss a podcast by subscribing to any Legal Talk Network show, including The Paralegal Voice, by using the RSS Feed links or iTunes links at http://legaltalknetwork.com/rss-feeds/. Carl H. Morrison II, PP, AAPI, of Tulsa, Oklahoma, answers my Thirteen Questions this week. He is a senior certified paralegal who has been employed by Rhodes, Hieronymus, Jones, Tucker & Gable in Tulsa for over 15 years. Carl admits to being an "adrenaline junkie" who loves the fast pace of trial. You'll enjoy reading his career tips, his favorite quotes, what he sees as hot trends in the industry, as well as what sports team he is passionate about. Thanks, Carl! 1. Where do you work and what is your job title? I am employed by Rhodes, Hieronymus, Jones, Tucker & Gable in Tulsa, Oklahoma as a senior certified paralegal and have been with this firm for over 15 years. 2. What prompted you to choose a paralegal career? My legal career began over 18 years ago when I started back to school to become a court reporter. I was going to school part time and working full time as a runner at another firm in Tulsa. When I realized just how much I enjoyed working in a law firm, I started making bold changes to get to where I am today. With education, hard work and dedication I went from runner, to legal assistant to ultimately paralegal. 3. What is your favorite part of your job? My favorite part of the job is when a case goes to trial, whether it is a mock trial or the "real" deal. I guess you could say that I am an "adrenaline junkie" and love the fast pace of trial! I am truly blessed to work with such fine attorneys that respect my input that goes into every aspect of trial, from preparing witnesses and selecting jurors, to assisting with the development of a trial "game plan", to ultimately observing and reporting jurors' reactions during the course of trial. 4. What professional associations do you belong to? I am an active member of NALS...the association of legal professionals where I serve as a board member for our state chapter, NALS of OK, and currently serve as co-chairman for the Future Leaders Development Committee at the national level. I was recently elected to serve as secretary for the Tulsa County Bar Association Paralegal Section. I am also a member of the National Federation of Paralegal Associations (NFPA) and Tulsa Areas Paralegal Association (TAPA). 5. How has your membership benefited you? NALS is an exceptional organization and has benefited me tremendously. From education to leadership to networking, belonging to a great organization such as NALS has given me the tools and resources to take my career to the next level. I highly recommend to anyone that does not belong to a legal professional organization to consider joining and getting involved in one. The opportunities that a great organization can provide are almost limitless. 6. Do you have any professional certifications? I am certified through the American Alliance of Paralegals, Inc.
7. What has been the highlight of your career? That is kind of a hard question, as I have many different highlights of my career. One highlight that comes to mind was the first time I was asked to present a seminar to a group of my peers. From that moment on I was hooked. Since 2005, I have presented numerous seminars and webinars at the local and national level and love getting up to speak before an audience. I guess my biggest highlight was when I published my first article in a national paralegal magazine. It was concerning the little known area of vaccine litigation and the paralegal's role. 8. What do you see as hot trends in the paralegal industry? I have seen many different articles and profiles on "virtual paralegals" within the past year. However, I am not sure that this will be the hottest trend in the industry. Only time will tell if this becomes a new facet of our industry or whether it becomes a passing fad. 9. Have you dipped your toes in the social media waters? If not, do you see that in your future? More like I dove head first into the social media waters! I use Facebook on a professional versus personal basis and am active on LinkedIn and Twitter. I believe that Twitter is a great branding tool to market yourself to other professionals across the world. It is also a great way to network with other like-minded individuals. 10. If someone contemplating a paralegal career asked you for career advice, what would your answer be? Like the old Nike commercial, Just do it! With the current state of the economy, I believe that we will see the legal industry become more and more cost conscious. I believe firms and corporations will utilize paralegals for tasks that once were completed by an attorney in order to cut costs to their clients, thereby creating a demand for qualified paralegals. 11. Is there a quote that inspires you? I just returned from the NALS National Education Conference where our keynote speaker, Erick Burton, said "There is no word 'try'; commit to it or don't." It reminded me of a quote from the movie 'The Empire Strikes Back". The character, Luke, did not believe that the Force could lift a massive object. He told his instructor, Yoda, that he'd try. Yoda replied "Do...or do not. There is no try." This has become my mantra when approaching any obstacle in life. 12. You've enjoyed a successful paralegal career. To what single event or person do you attribute that success? There are so many events and people in my life that have shaped and influenced me that I cannot list one single event or person. I truly owe all my success to my family and friends that have supported me over the years and have encouraged me to take my career to the next level and continue to do so. 13. What is the most important step a paralegal can take to keep his or her career interesting? Learn something new! I am big on education. I recommend that if there is an area of law or subject matter that you don't work in on a daily basis, take a course at your local community college or attend seminars and webinars on that subject. Learning is a forever thing and you are never too old to learn something new. Bonus...just for question: What sports team are you passionate about? I love college football and am a huge University of Florida Gators fan! Go Gators! What do paralegals and Jim Croce have in common? because I've got some interesting info for you! Unless you're one of those lucky paralegals who doesn't have to account for your time, you'll want to go here to read more and to reserve your spot now. have in common...it's that elusive creature: TIME! That you're the one I want to go through time with. 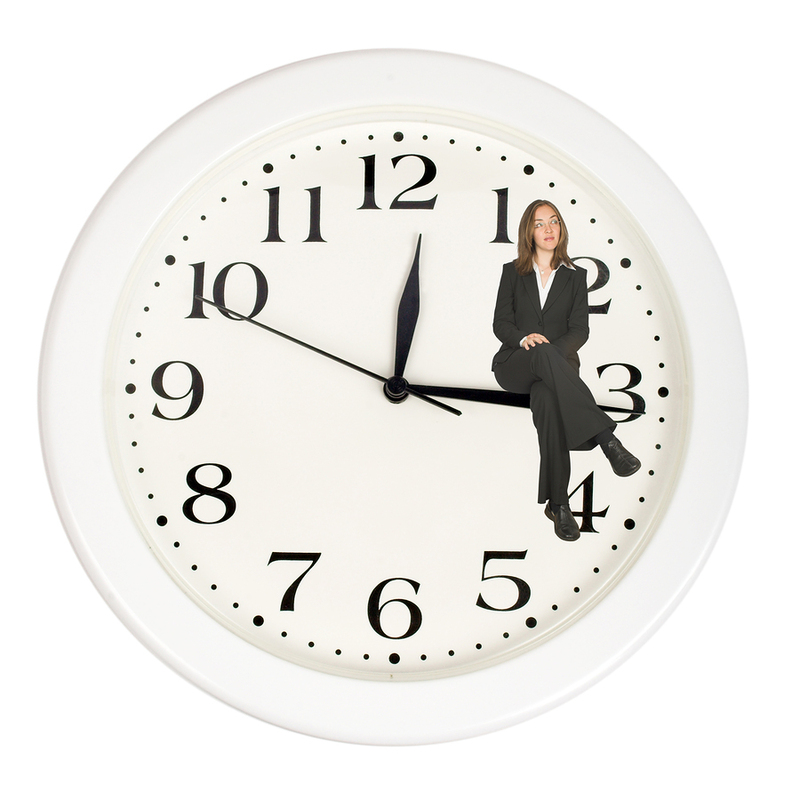 Paralegals know all about wanting to save time and there never being enough time! work, only to be interrupted again...all day long! Sound familiar? Can you relate? What would you say if I told you the key to keeping your billable hour goals on track is almost as simple as brushing your teeth? soon! I do think you'll want to read 'The Rest Of the Story' below, though. Sound familiar? The Rest of the Story: I know your pain! I'm a working paralegal...I'm in the trenches with you and I know how difficult it is to get those billable hours entered...to have that billable hour goal hanging over your head...to feel like you're not doing a good job because you have zero hours on the books and it's time to send bills. Now, while I admit to being fascinated with time organization,I'm NOT a time management guru who's going to give you 'pie in the sky' ways to solve this problem. Instead, I have common sense ideas for you...strategies that you'll be able to put in place as soon as you're off the call. You see, keeping accurate records of your time is perhapsthe most important thing you do! Regardless of your experience or expertise, this may also bethe most difficult thing you do. Do not have to work harder! Do not have to work longer hours! Do not have to sacrifice your quality of life! Instead, you make time work for you, not against you. I call that The Big Billable Hour Breakthrough! Time into a Billable Hour Gold Mine. 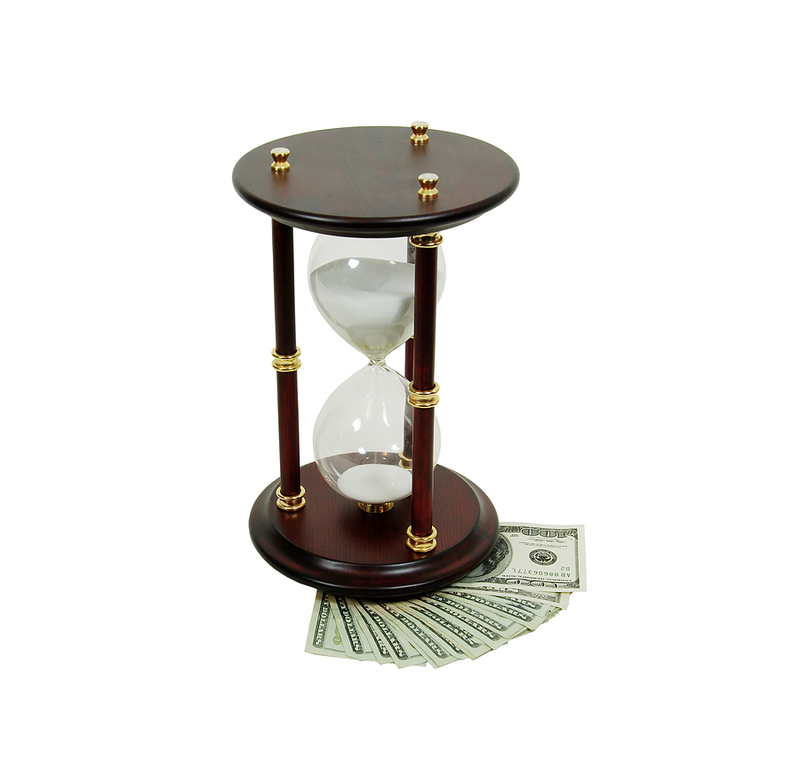 Whether you are new to the paralegal field...or havebeen a paralegal for a long time...it's never too late or too early to work on those billable hour habits. Now you can make the billable hour process as easy on yourself as possible with Vicki's ideas and techniques. IMPORTANT NOTE: This call is for you no matter how much experience you have or where you are with your billable hour goals. Your key result area is the careful entry of your billable hours so you get out of stress and overwhelm. Your hours are entered by the end of the month and at theend of the year your goals have been met. Let's work to increase your competence in this key result area! You need to have these steps and strategies in place NOW so you get the results you want LATER! 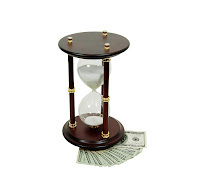 Bottom line: It's never too early --- or too late --- to get control of your billable hours. ----->REGISTER HERE<----- Reaching your billable hour goals doesn't have to be difficult. By applying some of these easy strategies, you can get yourself on track and stay on track. I can't wait to share these ideas with you! ========================= "See" you there...and remember...I'm dedicated to your extraordinary success! Once upon a time, there were three paralegals who had billable hour goals to meet by the end of each year. This may sound familiar to you. The First Paralegal adopted a strategy of 'hope' when it came to meeting her billable hour goals. She did her work and hoped she'd meet her goals at the end of the year. The problem was that she disliked entering her time so she never did that until the end of the month ... and then she couldn't remember what she'd done during the month. She'd spend hours searching her computer and her files to come up with time entries but she never got everything. At the end of the year, she had not met her billable hour goals. Then the Big Bad Wolf of Billable Hours came to her office and started knocking on her door. "No, no, no, this can't happen! I'm here to be a successful paralegal!" said the First Paralegal as she continued to 'hope' she'd have enough billable hours to meet her goals...without adopting any new habits to make that happen. Then "I'll huff and I'll puff and I'll see you get no bonus this year! said the wolf. So the wolf huffed and puffed until it became clear that even though the paralegal had worked very hard all year, sometimes staying late and coming in on weekends, she didn't have enough billable hours entered in the system to demonstrate her hard work. The First Paralegal would get no year-end bonus. The Second Paralegal adopted a strategy of 'ignore' when it came to meeting his billable hour goals. He did his work and ignored the billable hour issue. Then the Big Bad Wolf of Billable Hours came to his office and started knocking on his door. "No, no, no, this can't happen! I'm here to be a successful paralegal!" said the Second Paralegal. But he continued to ignore all of the small tasks he handled each day and didn't enter them in the system....and when his email notification sounded, he stopped everything to check it. Then "I'll huff and I'll puff and I'll see you get no raise this year!" said the wolf. So the wolf huffed and puffed until it became clear that even though the Second Paralegal had worked very hard all year, he didn't have enough billable hours entered in the system to demonstrate his hard work. He would get no year-end bonus. The Third Paralegal had writer's block. When she tried to enter her time, she couldn't decide what to write. The process was laborious and took too long. Her time entries didn't demonstrate the value of her work. Much of her time was written down or written off by the billing attorney. Often clients refused to pay for the work she did because it sounded 'clerical' and not important to their case. You can guess what happen! The Big Bad Wolf of Billable Hours came to her office and started knocking on her door. "No, no, no, this can't happen! I'm here to be a successful paralegal!" said the Third Paralegal. But she continued writing pitiful time entries, not knowing that there were formulas and phrases she could use that would demonstrate the value of her work. Her billable hour totals continued to dwindle. Then "I'll huff and I'll puff and I'll see you lose your job!" said the wolf. So the wolf huffed and puffed until it became clear that the Third Paralegal could not draft time entries that confirmed value and demonstrated her hard work. She lost her job. What about you? While this may sound like a fable, it happens all too often and to paralegals you know...maybe even to you. 1. Lack of planning for billable hour goals and devising a strategy to meet them. 2. Forgetting that 'tiny time' must be entered...it adds up to 'big time'. 3. Drafting time entries that do not demonstrate valuable. 4. Neglecting to enter billable time until the end of the week or the end of the month. 5. Spending too much time on non-billable work. And there are many more reasons. They can all be traced back to not establishing a clear plan for your time. A plan that keeps the Big Bad Wolf far away as you move steadily toward your billable hour goals. Are you worried that the Big Bad Wolf of Billable Hours is going to come knocking on your office door? Be sure to check out my new Billable Hour Breakthrough: Turn Your Time into a Billable Hour Gold Mine TODAY. Join me on December 9th to learn how to keep the Big Bad Wolf of Billable Hours away in 2011! Do you want to use this article in your newsletter, ezine or Web site? You can so long as you include this entire blurb with it: Vicki Voisin, "The Paralegal Mentor", delivers simple strategies for paralegals and other professionals to create success and satisfaction by achieving goals and determining the direction they will take their careers. Vicki spotlights resources, organizational tips, ethics issues, and other areas of continuing education to help paralegals and others reach their full potential. She publishes a weekly ezine titled Paralegal Strategies and co-hosts The Paralegal Voice, a monthly podcast produced by Legal Talk Network. More information is available at http://paralegalmentor.com/. Are You Thinking 'Hooray!!' or 'OH NO!'??? It's that time of year -- time to sit down and take stock. 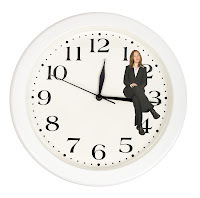 Yes, it's time to talk about billable hours! When you look at your total billable hours for 2010, will you be shouting "Hooray!" or "OH NO!"? Many paralegals avoid thinking about their total billable hours, preferring instead to focus on getting their work done. Sometimes they're too busy to think about their billable hours, let alone enter them. If you're a paralegal who's expected to meet billable hour goals, your value to the firm is most likely determined by the number of hours you bill in a year. This also determines your year-end bonus, raises,and perhaps whether or not you'll keep your your job. You must focus on your billable hours as they relate to the money and profits you generate for your employer. After all, law firms are businesses designed to, hopefully, be profitable. When I ask paralegals I'm mentoring about the state of their billable hours, they're often unclear about how much they've billed and uncertain if they're a profit center for the firm. Some are even resistant to talking about billable hours at all. If they've reached their billable hour goals at the end of the year, they shout "Hooray! I'm good and I'm safe...bring on the bonus and the raise!" If they've fallen short of those goals, they cry "OH NO! What happened? What do I do now?" This isn't an effective strategy if you plan to be a successful paralegal. It results in a rollercoaster of ups and downs -- with the downs including heavy doses of desperation, frustration and overwhelm, as well as burnout, low self-esteem, lack of self-confidence...and probably no bonus or raise. It keeps you on a treadmill: working harder to make up the losses, just to find yourself falling further and further behind. After all, there are only so many hours in the day and only so many hours you can bill for. I've noticed that many paralegals have a million excuses for falling short of their goals: they don't get enough work; they have too much administrative work to do; their work is non-billable; they have too many interruptions; they have no time to enter their time; the firm has an inefficient billing system; clients won't pay for the work they do, blah blah blah. Another strategy is to just do their work and hope for the best at the end of the year. And still another is to act "as if" everything is OK, thank you very much. Excuses, hope and acting "as if" won't cut it. You have to take action so you no longer have those "OH NO!" moments. If you want more "Hooray!" moments, here are 5 billable hour strategies you can adopt to get past "hope" and get off the roller coaster so you're on the path to reaching your billable hour goals. 1. Break down your billable hour goals so you know what you have to do each month. It's essential that you know how many hours you'll be billing each day, each week and each month throughout the year. Then review the totals at the end of each month to be sure you are on track to reach your goals. 2. Learn to turn tiny time into big time. All of those small bits of time may seem unimportant but they can add up to big billable hours. You just have to learn when to do those "small tasks" and how to capture them each day. 3. Eliminate the things that hold you back from getting your work done. Do you have too many interruptions? Co-workers stopping by your office to chat? Telephone calls? E-mail? Clutter on your desk? Piles of paper and files all over your office? Do you spend hours every day searching for misplaced files and documents? There are ways to minimize, even eliminate, these interruptions and plug the holes that are sabotaging your billable hour goals. 3. Get over thinking your work is not valuable or the client shouldn't be billed. No, you're not an attorney...but the income you generate for the firm is very important. All of the work you do is essential to the bottom line of the firm's budget. As for the client, it's up to the billing attorney to determine what the client should be charged for services. 5. Draft time entries that demonstrate the value of your work. There are simple formulas you can use to (a) make entering your time a snap and (b) demonstrate to the client the importance of your contribution to his or her case. When you do this, you reduce the amount of time that's written down or, worse, written off. If you're shouting "Hooray!" congratulations! Enjoy your raise and your big bonus. If you're saying "OH NO" join me on December 9th for The Big Billable Hour Breakthrough: How to Turn Your Time into a Billable Hour Gold Mine where you'll learn all the things you need to do to get off the rollercoaster, reach your goals, and shout "Hooray!" You won't regret this investment. Follow this link to take action now.